Beginners (12:00pm to 2:00pm): We cover the basics. This workshop is essential for any artist, performance or otherwise, and ideal for the professional who speaks and communicates with two people or in front of hundreds. You will walk away with better communication skills, creative problem solving, supportive team work abilities and confidence. 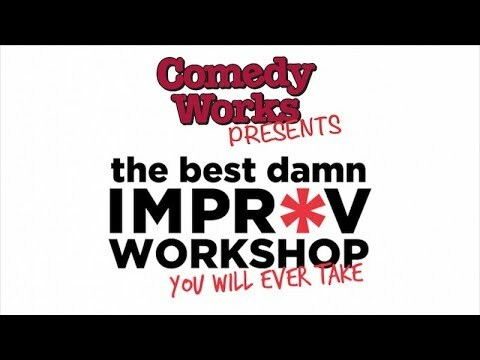 Beyond Beginners (2:30pm to 4:30pm): If you've taken improv classes, even if you only took one and want more challenge, try this workshop. Every week, in addition to building on what went on the week before, new structures & forms will be introduced. Since there's no long term commitment you can try this one, if it doesn't work, switch to Beginners. Come to the workshop when you can and as you like. There is no package purchase required. However, we recommend purchasing your tickets in advance if you know you can make it as space is limited to 12 people and these workshops will sell out. Walk-ins are welcome and can be purchased at the box office day of workshop if there is availability. No sexism, racism, discrimination of any kind or mean spiritedness will be tolerated. This is a FUN, non-scary, safe environment for all who wish to attend. Each workshop lasts approximately 2 hours and is open to Ages 16+. Edith Weiss will be teaching this workshop. In addition to performing and teaching improvisation, Edith is an actor, writer, and director. Formerly, as a stand-up comedian, Edith toured the country and worked MWR tours for the military. She was head writer and director for all seven of Pham Aly's (Physically Handicapped Actors & Musical Actors League) Vox Series. Her published plays (nearly 30 of them) have been produced in schools and community theaters in six of seven continents. Edith has acted or directed for the Denver Center, the Arvada Center, the Avenue Theater, Nomads, Littleton Town Hall, Backstage Breckenridge, and the Aurora Fox. *Cancellations: We will happily refund you should you cancel early, but will charge you a $3 fee. There will be NO refunds given for cancellations within 24 hours of the workshop start time.